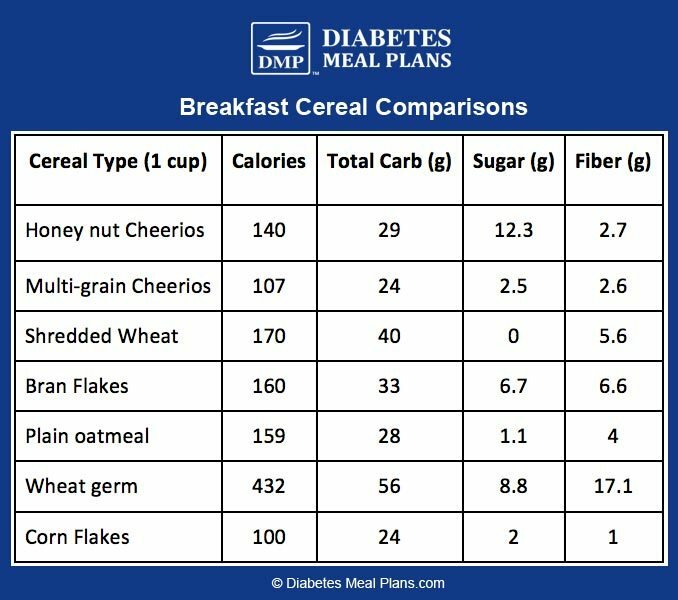 Are you wondering what breakfast cereal is okay for diabetes? You're not alone! Without a doubt, many of us have become dependent on breakfast cereal as our go-to morning option. It's the food we've all grown up eating for breakfast for many years. 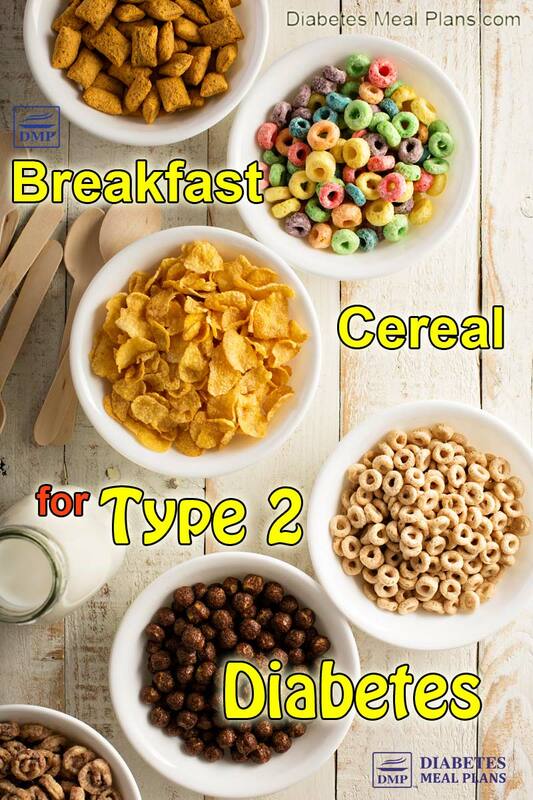 Still, while that's the case, that doesn't necessarily mean cereal makes a good companion for type 2 diabetes or prediabetes. Whole grain breakfast cereals, both hot and cold, are generally considered to be healthy choices. And they are touted as the perfect food to help start off your day right. Sure, cereals like Shredded Wheat and steel cut oats are certainly better than some other popular breakfast cereals such as Cocoa Crispy Rice Cereal (Cocoa Pops) or Fruit Loops. And cereals like Shredded Wheat and steel cut oats are a better choice than refined flour, sugar-filled pancakes, donuts, and muffins. But, that doesn’t mean that whole grain cereals are the best option for your breakfast. 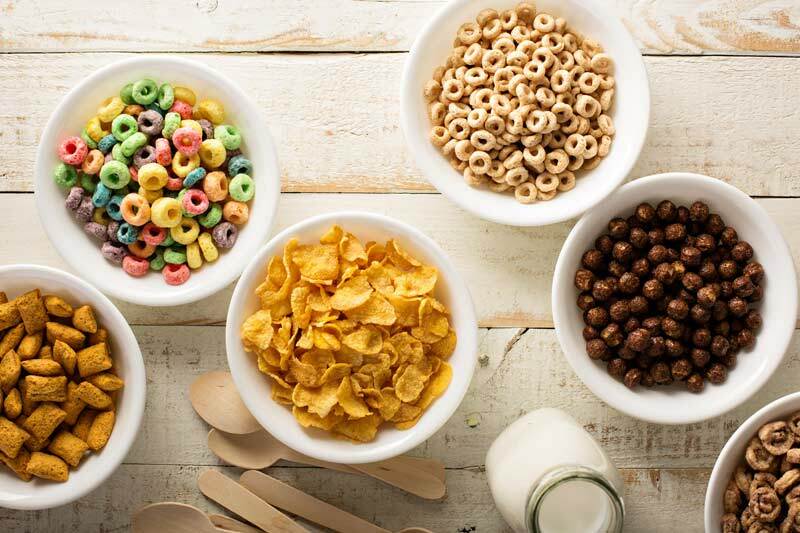 While some whole grain cereals may be ‘better' options, the reality is, overall breakfast cereals are not a good option to kick off anyone's day, let alone if you have type 2 diabetes or prediabetes. The most obvious reason being they are carb heavy and therefore, not overly friendly for promoting better blood sugar and A1c results. Fortunately, there are plenty of hearty low carb breakfast options that will leave you feeling energized, satisfied, ready to take on the day, and keep your blood sugar in check. Obviously, you know that sugar-laden “junk food” breakfast cereals like Lucky Charms and Frosted Flakes are out of the picture – at least, I hope so. That's one of the big issues with most breakfast cereals, is that they are full of “added sugar,” so we're not going to bother comparing those. But what about the healthy, whole grain cereals that are marketed as a part of your balanced breakfast? Do you notice a trend among these whole grain cereals? It looks like these “healthier” options aren’t so “balanced” in the one area that matters most to people with type 2 diabetes and prediabetes: carbohydrates. All of them contain at least 23 grams of carbs per 1 cup serving. And some of them even pack up to 40 and 50 grams of carbs! Yes, these whole grains are complex carbohydrates that contain some fiber. Yes, this does automatically make them a lot better than the sugary cereals filled with refined grains, simple sugars and lack of fiber. However, what we do know for certain is that whole grains DO NOT assist with blood sugar control. The American Diabetes Association states in their 2017 Standards of Medical Care in Diabetes, that: “whole-grain consumption is not associated with improvements in glycemic control in type 2 diabetes.” Or in other words, it doesn't help you regulate blood sugar and A1c – that's what the research clearly shows. Because at the end of the day carbs are still carbs. Whether they are from whole grains or not, that 27.3 grams of carbs from oatmeal is only going to end up in one place – your bloodstream! Since most people then pack fruit and sweeteners on top of cereals, this can quickly bump your carbs up even more, resulting in nothing but a carb onslaught. And while whole grains are frequently promoted for their high levels of dietary fiber as well, overall they just don't provide as much fiber as it may seem. You can get more fiber from vegetables, nuts and seeds! It can be difficult to navigate all the mixed messages and conflicting sources of information out there, especially when it comes to your health. One article may say whole grains are great for managing your blood sugar, while the next one refutes that point and sites completely different sources to back up their argument. So, are whole grains good or are they bad for people with type 2 diabetes? To answer that question, let’s go straight to the unbiased research and see what it has to say. To start off, yes, some research supports the idea that consuming more whole grains may be linked to a modest decrease in a person’s risk for developing type 2 diabetes. The connection between whole grain consumption and diabetes risk is not rock solid, however, and it is likely that people who purposely choose whole grains over refined grains may already be more health conscious. Therefore, these people may be less likely to develop diabetes due to their healthier lifestyle habits. But regardless, it is important to highlight the difference between preventing diabetes and treating existing diabetes, as these are two very different scenarios. Be wary of the information you read because in many cases the information is talking about prevention, not treatment. Here at DMP, we're interested in what's best for TREATMENT of type 2 diabetes and prediabetes. Not only is it common sense that carb heavy foods will raise blood sugar and A1c (this is not rocket science, it's simple biochemistry). But there is no research to indicate carb heavy whole grains assist with diabetes treatment. Therefore, we encourage you to eliminate all grains, and yes, that means all breakfast cereals commonly sold at the store. At the end of the day, it's your choice of course. And while some people do get away with eating whole grain cereals or oatmeal, in our experience most don't and do far better without them. The results of all our members speak volumes of what can be achieved when you eat to treat your diabetes, rather than to listen to widespread dogma about “healthy” diets, which is generally only suited to the general (healthy) population. What Should I Eat For Breakfast Then? Real food that is lower in carbs! You don’t have to compromise blood sugar control in order to enjoy a well-rounded, hearty breakfast. But you will have to alter some potentially long-standing breakfast habits. Or try eating last night's leftovers – it doesn't have to be “breakfast” food – just eat real food! Made with ingredients that won't send your blood sugar soaring, of course! We also have many more breakfast options (including cereals) inside our members only area. 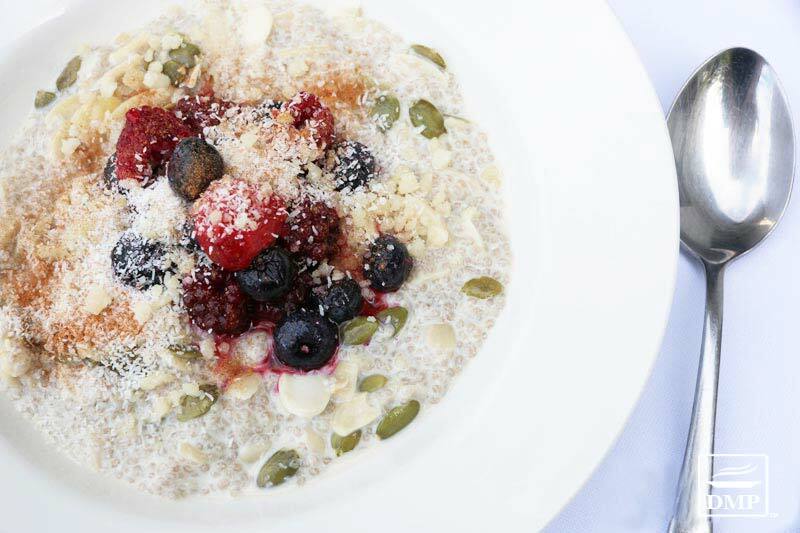 MEMBERS: Login to the Members Site to access the range of breakfasts available to you. Re-evaluate breakfast – What have you been eating for breakfast? How have your 2-hour after meal blood sugar readings been? If your numbers are a little high, what could you do differently? We already provided a range of breakfast ideas a few days ago, use those ideas with the ideas above to guide you and begin eating breakfast anew! Run an experiment – compare your ‘normal' breakfast (maybe it's cereal like oatmeal or whole wheat) to your new breakfast. Take your blood sugar levels before breakfast on the 1st day, write it down. Take your levels 2 hours after your meal (time from the first bite of food). Next day, eat a lower carb breakfast from the list above. Take your blood sugar levels before breakfast on the 1st day, write it down. Take your levels 2 hours after your meal (time from the first bite of food). Compare the results. Not in the challenge? You can still grab our freebie pack below and we'll stay in touch via email. Fantastic Bill – that is awesome!! Funnily enough, many substitutes are equally enjoyed by family members and friends as well. Glad you’re enjoying the challenge. My blood sugar in the morning is between 106-111. I feel this is too high. I eat very lite for breakfast. Mostly egg, toast , and fruit. I am working on finding bread that is low carb. Two hours after I eat my blood sugar is in the two digits. All this information is wonderful. Keep it coming. The morning levels could be a little better, ideally under 100 so you’re not far off – this is still a good result. Keep up the great work! I don’t know if I told you guys but I found a bakery that distributes from Longmont Colorado: Bavarian Bakeries. They have two sliced breads, distributed through Kroger’s City Market. These tow types of bread are 8.5 carbs a slice. Not dry or tough – very nice as toast or sandwich. I have porridge oats made with water and topped with blueberries/raspberies and small clementine is this okay? This is a very high carbohydrate breakfast/meal, and likely best avoided especially if you have having trouble controlling your blood sugar. 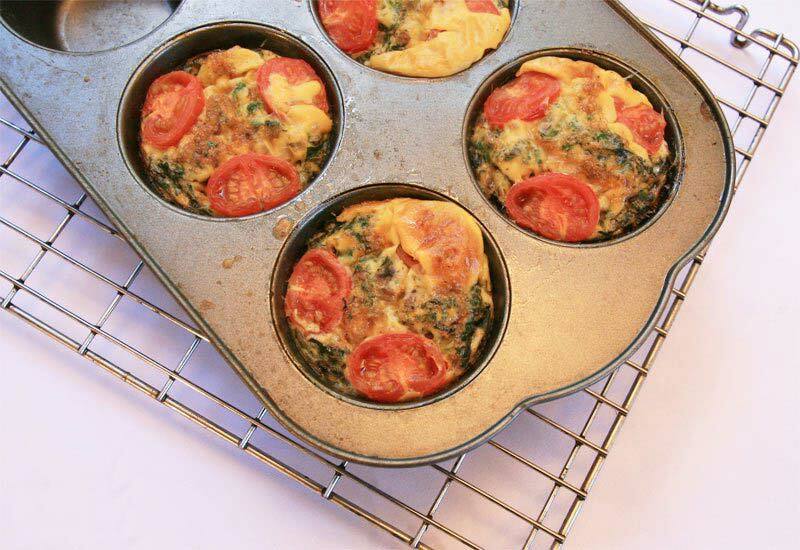 Try one of these breakfast recipes instead! Since I have been eating oatmeal, putting more fiber in my choicesof food, and supplementing with more fiber, I have lowered my LDL to 78 ! I am type 2 but also a heart patient so this is necessary..its not always about the carbs. I have to take a little more insulin to cover it but its worth it. I do low carb all day after breakfast. I also have been told that too many eggs are not good for me either. So much conflicting info out there. !! Nutrition always seems to get quite controversial, mainly because new research is coming out all the time that changes what we know about our health. DMP aims to bring the latest research to the public and present it in an easy to understand way that allows you to make an informed decision about your health. Eggs are a great example of this- we used to think eating dietary cholesterol (in eggs) raised your blood levels, but the latest research proves this isn’t the case. It’s fantastic that you have been able to achieve those results so far, but remember you can get fiber from other foods than breakfast cereal. Specifically nuts and vegetables are great choices that would not require you to increase your insulin. Here is an interview we published with cardiologist Dr. Adam Splaver that you may helps to clear up some of the confusion and misinformation. Keep us updated on your progress! I only use 1/4 cup dry with water and nuts and seeds. The box says 3/4 cup is heart healthy, wow !! What I find is some people use Cereal as the catch meal, especially if it’s later in the night, and you don’t have time to make anything. It’s kind of like in the morning rush, time drive safe us to eat cereal. In our house, we mainly have “healthier” cereals liiie high fiber bran flakes, and toasted oat cereals. Can it not be “part” of the meal, such as a smal side of cereal, coupled with egg whites/omelette, and a lower sodium, lower fat breakfast meal? Also, doesn’t the overall mix of food you put in the belly effect the speed to which the carbs hit the blood stemream, and therefore the increase in blood sugar levels. Example, fiber, protein and fats process slower, so if they are part of the mix of food your body is digesting, won’t that impact it, slowing down the carb impact? Great questions! Even these healthier cereals are going to be high in carbohydrates, and probably pretty void of any quality nutrition (vitamins, minerals, and antioxidants specifically.) Like the article says, these are better choices than the refined-sugar sweetened types, but they can still be very problematic for most people and realistically your best bet is to just avoid them all together. Salt and fat have no impact on your blood sugar and/or A1c levels- focus more on keeping your carbohydrate intake under control for optimal results. Yes, the mix of foods will effect how quickly you digest the food. Fat, protein, and fiber can all slow down the digestion of carbohydrate but that does not mean you can neglect counting that food in your daily carb count. Certainly we encourage a diet rich in (healthy) fats, protein, and fiber- but I don’t want you to be misinformed that you can pair a high carb meal with lots of fat/ fiber/ protein and be tricked into thinking it is still a good choice for someone with diabetes/prediabetes.